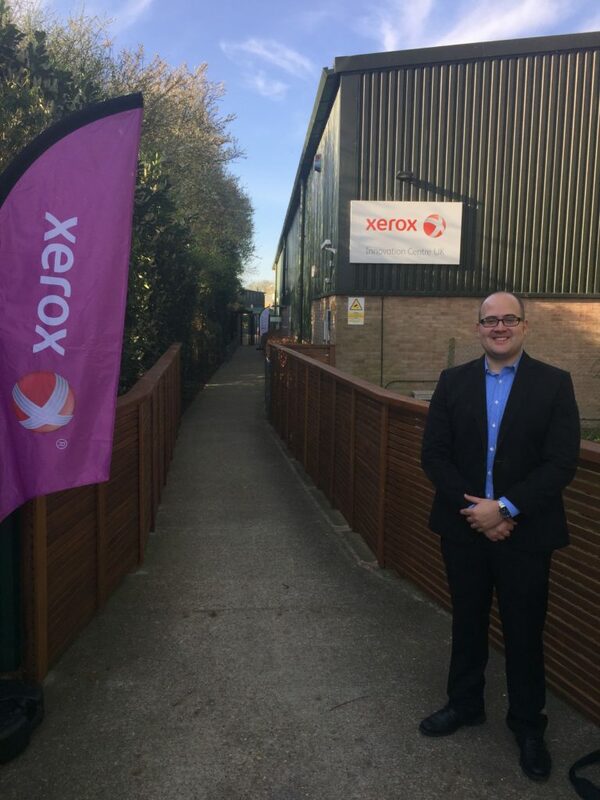 On April 5th, Xerox held their European new product launch outside of London in Uxbridge. 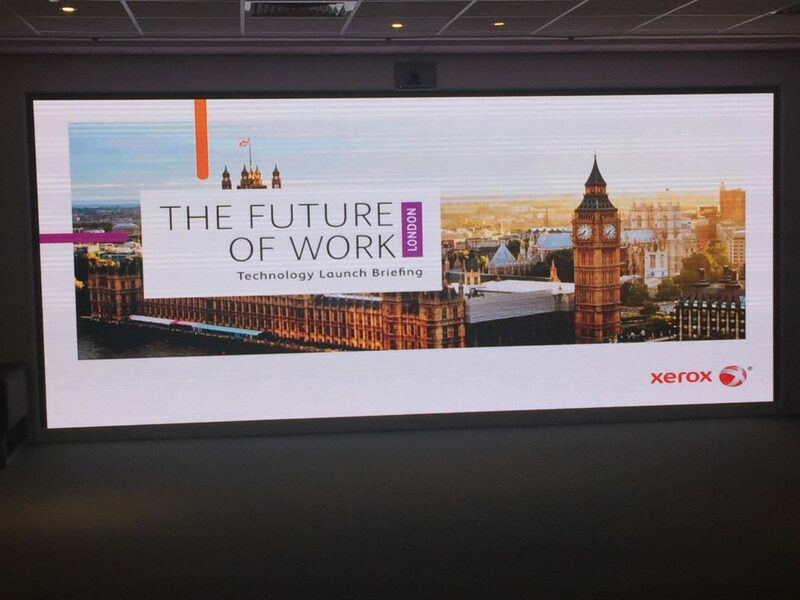 This is Xerox’s largest product launch in history and they introduced 29 new products! The event was titled The Future of Work and included industry analysts and press. 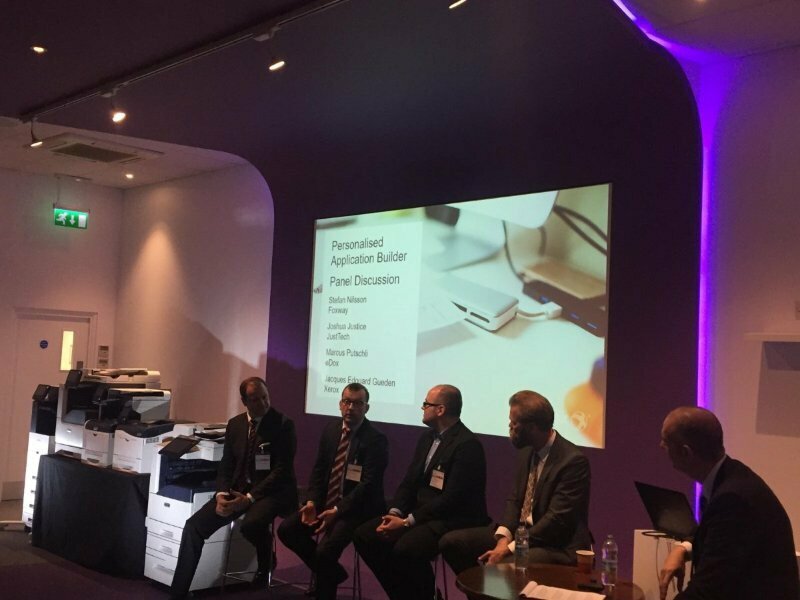 Joshua Justice, president of Just·Tech was invited to attend and discuss the apps that Just·Tech has created for Xerox multifunction devices. With the Firmware Connect App, firmware and software updates are automatic when released by Xerox and tested & approved by Southern Solutions. Firmware is upgraded sequentially in order of approved firmware versions. 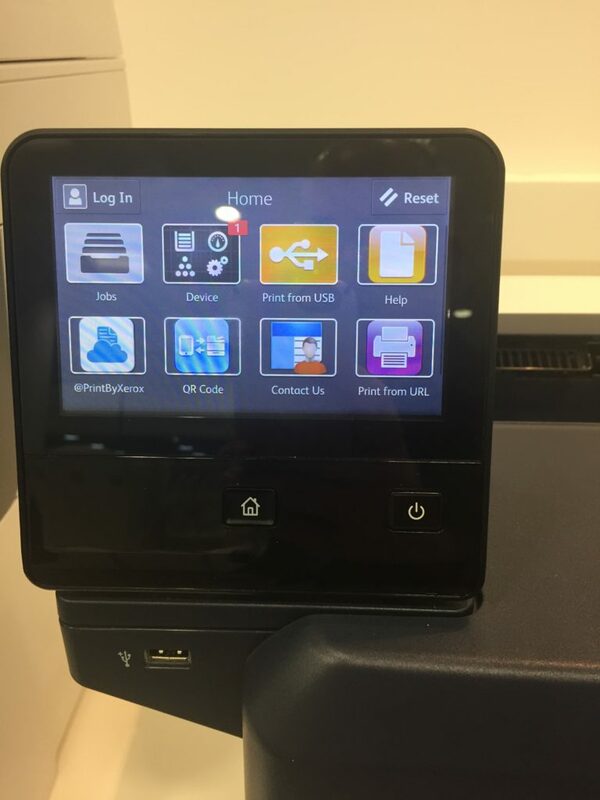 There are over 15,000 Firmware Connect Apps installed and this is Xerox’s most popular 3rd party app! The Contact Us App has been rebranded to the Support Connect App. The Support Connect App is a partner branded app that allows the customer to request service and request supplies from the Xerox device user interface. We now have XPPS integration and can automatically send in meter reads to XSM and display supply status and tracking information! Setting up scan to email on a Xerox device requires accessing the web interface of the device by obtaining the IP address, username and password and then entering in 17 pieces of information on 6 screens. Email Connect simplifies this process greatly whereas customers only have to enter their email, password and chose their provider. The Xerox device is then instantly configured for scan to email! Configuring a Xerox device for network connectivity requires a user to have an IT background and to receive training. 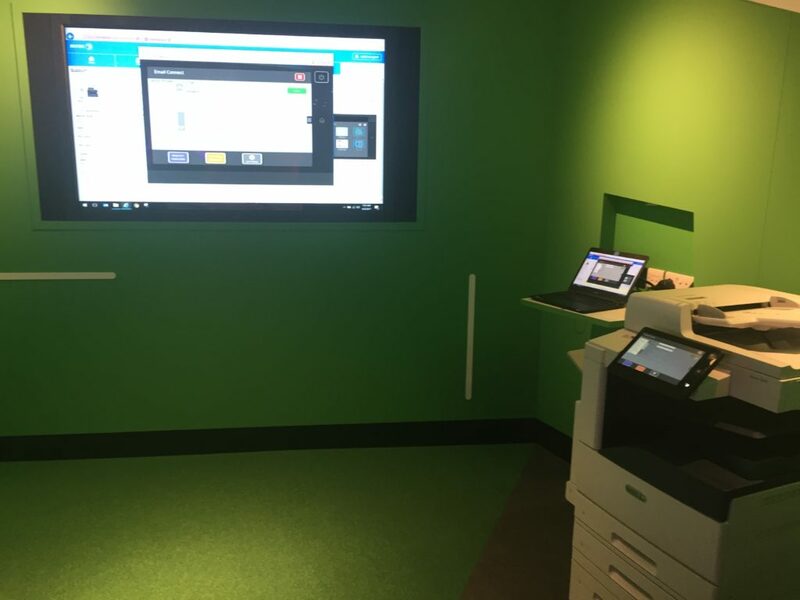 With the Device Connect App, Xerox multifunction devices are instantly set-up on the network and for connectivity with fewer user initiative steps right on the device user interface. With this app, anyone can set-up a Xerox device! Just·Tech is a technology company founded in 2006 providing Print Solutions, Network & IT Solutions and custom Xerox App Solutions.